3 New Italian Military Surplus Wool / Cotton Base Layer Shirts. Your freeze-fighting foundation! Effectively combat cold weather. 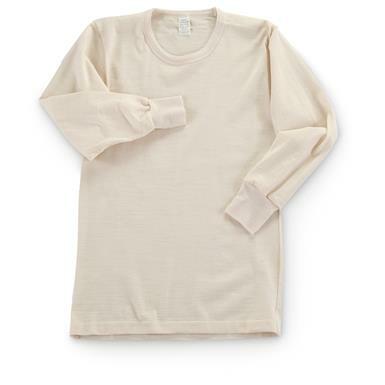 Fight it every step of the way with this Italian-stallion brrr- battling Base Layer. The trio delivers big insulation without heavy bulk that can weigh you down. Slip on this gear before you put on the rest of what you need to wear. Even freezing temperatures will be a walk in the park. Hooya! Condition: brand new, never issued. State Size, as available in the Shopping Cart.